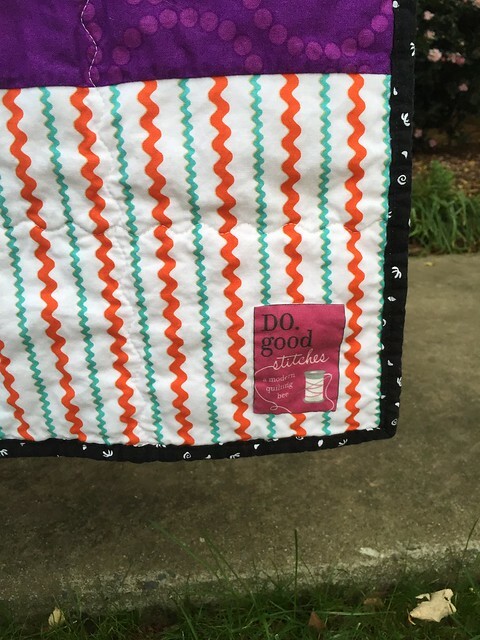 I'm happy to share another quilt for the Haven Circle of do. Good Stitches! This is our October quilt. Unfortunately, we had a quilter go A.W.O.L. 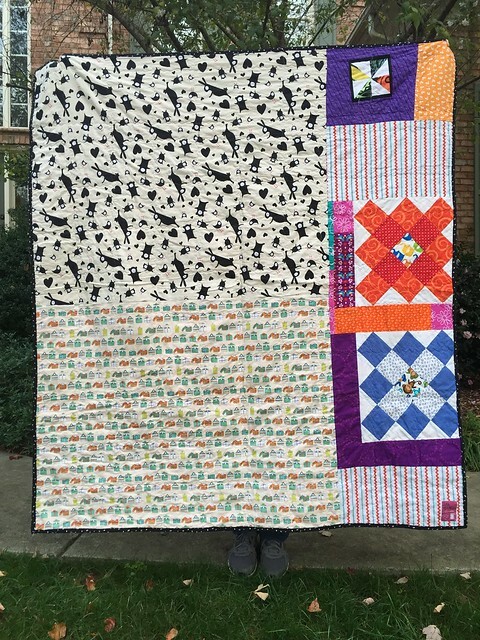 I had just seen Diane's amazing scrappy quilt and thought this might be perfect for our circle; so I took up the challenge for the month. Since we had a slow start this fit perfectly. Send me your orphan blocks, send me your wonky blocks, send me crazy, scrappy, fun blocks! This one will be packed up with the Courthouse Steps quilt and on it's way to bring some love and cheer to the women's shelter in Texas. 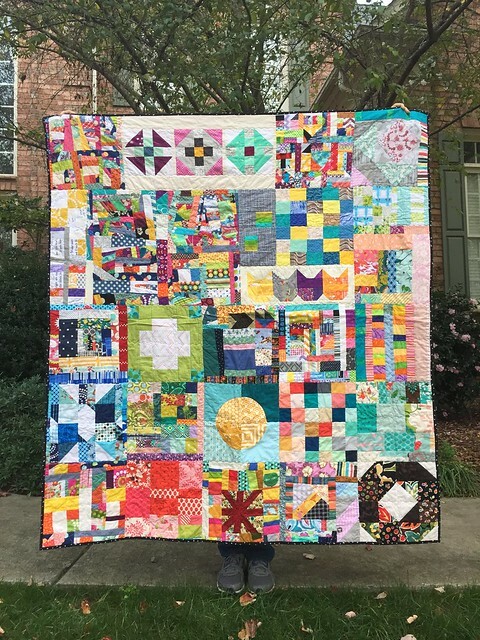 Hooray for crazy quilts! Love this one too! And how nice for your quilters that their orphan blocks will be used!